If you already have a mattress topper, than this is no news to you: mattress toppers are not the compact hard/heavy blocks that go on your bed. They are sort of a pad that give a little help to your mattress, relieving back pain and all sorts of pains related to your sleep. There are many types of mattress toppers out there and, according to your needs and wants; you can go find the right one. Don’t lose your hope when you take a look; don’t feel overwhelmed when you see how many there are. You can follow some tips and keep something in mind when shopping so that you don’t end up with the wrong mattress topper. One of the best options for you when struggling with back pains is the memory foam mattress topper. The memory foam memorizes your body shape (its name sure tells a lot) and keeps a good temperature while you sleep. The density of the topper has a lot to say, though and it seems that you shouldn’t go below 5 pounds on your mattress topper. Some say though that a 4 pounds mattress topper may work wonders for your lower back pain. Another great option to consider is the latex mattress topper that, due to its pin core hole design, absorbs the weight of your body and conforms to your body shaper. It manages to be comfortable and supportive at the same time and it minimizes the movement of your sleep partner. It’s quite long lasting and you may need to pay the extra buck for it. When it comes to thickness, some consider the thicker, the better for your back pain. However, we’d stick with the 2-3 inches thickness for a mattress topper. 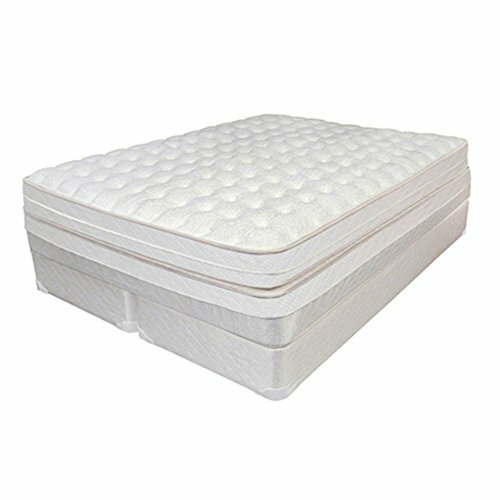 Your weigh does count when you get a mattress topper, which is why a foam mattress topper is not the best option if you weigh more than 250lbs. In addition, if you don’t know which way to go: Soft or thick…Soft relieves your stiff muscles and regulates your body temperatures. A soft mattress topper does flatten sooner though. A firm mattress topper is a good choice anytime, as long as you don’t go for more than 3-4inches. Just because the Sleep Joy 2″ ViscO2 Ventilated Memory Foam Mattress Topper is a rather low priced mattress topper, doesn’t mean it’s not a reliable option that works for your back pain. The mattress topper is comfortable and manages to be offer a firm support, even though it’s rather soft and only 2 inches thick. It’s made with a breathable material that presents efficient ventilation. The airflow is good so you don’t wake up all sweaty in the morning. The mattress topper gives a rather cradling comfort, eliminating pressure points for a better sleep. It’s odor-neutralized so you have no concerns about the specific memory foam smell. The topper is actually enhanced with plant-based ingredients so it has little impact on the environment. The open-cell memory foam is long lasting and takes the shape of your body, without losing its elasticity. It reliefs any pressure points and works so nicely on your back pains. In order to expand its life span, it’s better to only spot clean it and not machine-wash it or dry. The topper is made in our USA, which is always a big plus. All in all, for a low price, you get a good quality option that brings comfort to your back pains. It seems that 3-inch is the dream thickness (according to some) when it comes for a mattress topper to ease your back pains. 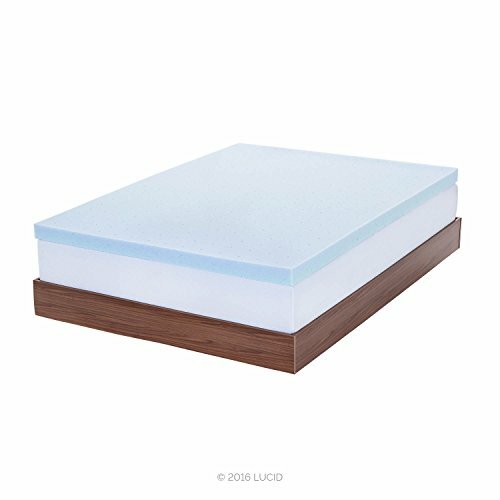 The Lucid 3-inch Gel Memory Foam Mattress Topper brings more than the right thickness and it’s impossible not to enjoy the breathability that comes along. The 3” ventilated gel memory foam is great for your back pain as it reliefs pressure points, while keeping you fresh and cool throughout the entire night. It’s very comfortable (a real option to consider by any side sleeper) and its softness provides the nice support your back needs. The airflow is increased, which explains the breathability and you get to wake up fresh and not all sweaty in the morning. The memory foam isn’t just an ordinary one and its special formula makes it both airy and responsive. Even though it’s memory foam, the mattress topper springs back to its original shape, taking instantly the shape of your body. It aligns your spine and diminishes any pressure points. The gel material within the mattress topper helps with the control of your body temperature during your sleep. The gel material not only traps your body heat, but it also spreads it evenly, giving you just the right temperature in the night sleep. The same sized space ventilation holes improve air circulation, thus explaining the breathability of the topper. Soft and smooth, the mattress topper takes good care of your back and keeps you fresh until the morning. No matter the cons, for its efficiency on your back pain, the topper is a nice, breathable choice any time. 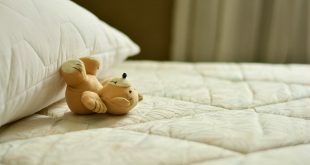 Even though some wouldn’t go with a mattress topper thicker than 3-inches, there are plenty of voices out there that consider a 4-inch mattress topper just as good to relief your back pains. The Best Price Mattress 4-Inch Memory Foam Mattress Topper is the solution for anyone that likes firm support for his or her back, in a comfortable way, of course. The mattress topper is firm and supportive and becomes the solution to revive your old mattress or the final touch for your new one mattress. Just because it’s thick, doesn’t mean it’s less responsive. By contrary, the mattress topper brings great active suspension and springs back in to its original shape for quite some time. It isolates the movements of your sleep partner- and this matter so much for a nice, quiet sleep. The mattress topper is made of 2.5” high-density foam and 1.5” memory foam. The topper manages to distribute evenly your body weight, without creating any cradles. It conforms to your body shape, eliminates pressure points and works for your back pains. Firm, with minimum risk for sinking, the mattress topper wears only a slight specific smell and is so safe to use. The mattress topper is protected by a polyester mesh zipper cover, easy to remove for cleaning. No matter the cons, we recommend the mattress topper as a nice, firm and supportive mattress topper that may be the solution for your back pains. 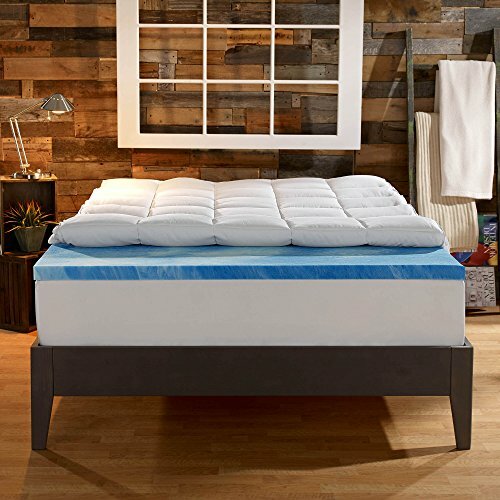 Going shopping for a mattress topper without even considering the Sleep Innovations 4-Inch Dual Layer Mattress Topper is quite a big mistake. The dual layer design sets the mattress topper apart from many and the design manages to be also functional, not only interesting. The mattress topper is made with 2 inches of cooling gel memory foam and 2 inches of fluffy fiber fill. Therefore, you get a topper that keeps you nice, fresh, cool and comfortable throughout the entire night. The great design makes the topper so versatile and all sleep positions may benefit from it. The fiberfill sure eases your back pain and takes care of the pressure points in your sleep. The responsivity of the mattress topper is quite good and we like it as it absorbs so fast the movements of your sleep partner. The mattress topper is well made and its snug-fit cover increases its lifespan. The cover isn’t difficult to remove for cleaning. You may safely machine wash it and also get it in the dryer, so cleaning problem solved. You may sense a slight smell in the beginning but don’t worry; the scent does wear out after a while. Additionally, for all of us out there proud to be Americans, it’s good to know the mattress topper is made in our USA. That sealed the deal, right? Never mind the cons; we still think the mattress topper is great as it is not only comfortable for your back, but also breathable and cooling. Getting a mattress topper that is not only great for your back pains, but also made of natural ingredients isn’t quite mission impossible anymore. So when you get a mattress topper like Pure Green 100% Natural Latex Mattress Topper chances are you get not only a solution to your back problems, but also a natural one. 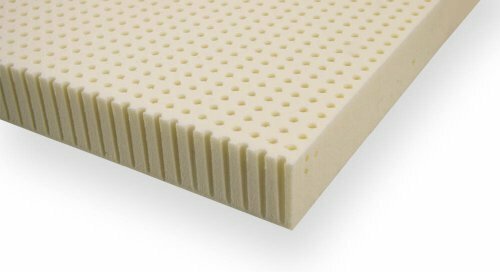 The mattress topper is made of natural latex and is not only supportive, but also soft and comfortable. The topper contains no fillers and not synthetic latex either, so you may be sure it uses 100% natural latex. When we take a look at its firmness, we see a 20 ILD rating so the topper, which recommends it for easing your back problems. If you are a stomach sleeper, this is also a good choice for you. A side sleeper is going to need a firmer mattress topper though. As it’s made with natural latex, it’s very obvious (to us, anyway) the topper is hypoallergenic. It’s dust-mite resistant, anti-microbial and stays cool throughout the entire night. Breathability is another quality to consider for the topper also. We like the topper also because it’s resilient and quite springy. Unlike a memory foam mattress topper, it remains this way for a good amount of time. This is bringing us to another quality: the durability. Natural latex is long lasting and takes the intense use. The mattress topper may not be very firm, but it’s sure efficient for relieving pressure points and minimizing back pains. If you’re not used to the specific smell of latex, you may feel it a bit in the beginning. It’s subtle scent though that wears out quite fast. 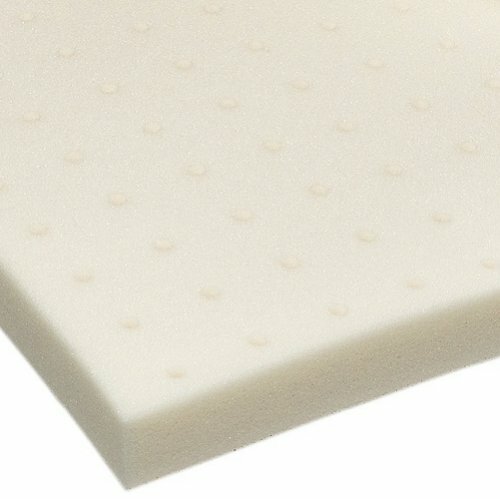 The mattress topper is very well made and you should give it a go for sure. The minor problems aren’t deal breakers on our part and, if you’re open to new, natural things, the mattress topper is a definite option to try. If you want a bigger, thicker mattress topper, don’t hesitate to give a glance at this one. The California King Size 3 Inch Thick, 4 Pound Density Visco Elastic Memory Foam Mattress Pad Bed Topper doesn’t surprise us and it’s a sure thing when it comes to mattress toppers. The 3” mattress topper is made with 4lb of memory foam and instantly conforms to your body’s weight and shape. It minimizes pressure points so you don’t spend the night tossing and turning. The 4-pound density of the topper is efficient and leaves a gel-feel like. The topper gives good support exactly where you need it. The foam not only conforms to your body’s shape, but is also brings comfort, no matter your sleep position. The topper is PurGreen certified so it’s made and packaged in our USA, meeting all the quality standards on safety. It’s free from harmful chemicals and wears only a slight scent. It shouldn’t trigger your allergies, but some may still feel the scent for a while. The mattress topper is thick, comfortable and quite long lasting. it soothes any back pain and works great for many of use. It’s a supportive mattress topper that doesn’t sag and manages to remain responsive and springy for quite some time. One thing to keep in mind, though: the topper is temperature sensitive so it may need some time to fully expand on a colder environment. The few drawbacks don’t make us change our mind and we still think the topper is an option to keep an eye on. For those of you who can’t decide which way to go, latex or memory foam, a good option would be something in between like the Ultimate Dreams Queen 3″ Talalay Latex Medium Mattress Topper. The mattress topper is made with Talalay latex, which manages to improve your back pains and relieve pressure points. The topper is comfortable and gives you a nice, soft support for your back. We like the mattress topper for its responsivity as it takes almost instantly the shape of your body, minimizing pressure points and ensuring comfort. The 3” blended latex topper presents a 19ILD rating so it sits in the middle when it comes to softness and firm support. 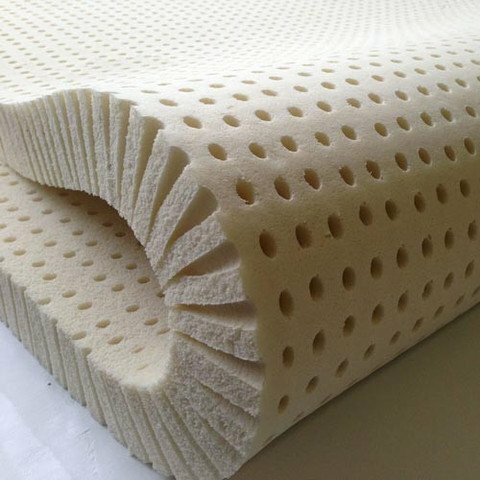 The mattress topper comes in various thickness and firmness and you can find the one that fits your needs the most and get, for instance, the 28ILD rated latex topper. We can’t talk enough about the hypoallergenic quality of the topper and this is because the latex is naturally hypoallergenic. Sure, the bamboo cover is also important and not only is comfortable, but also doesn’t make your allergies come back. As it’s also breathable and easy to clean, the cover is a nice detail for the topper. It expands the lifespan of the topper and has such a nice feel touch. You don’t need to worry about waking up all sweaty in the morning as the topper is quite breathable and dissipates your body heat at the same time. All things considered, we like the mattress for the comfort, the ease it brings on your back pain and we don’t think the cons are deal breakers for us. You may feel you pay the extra buck, but when you balance comfort and price, you see it’s totally worth it. 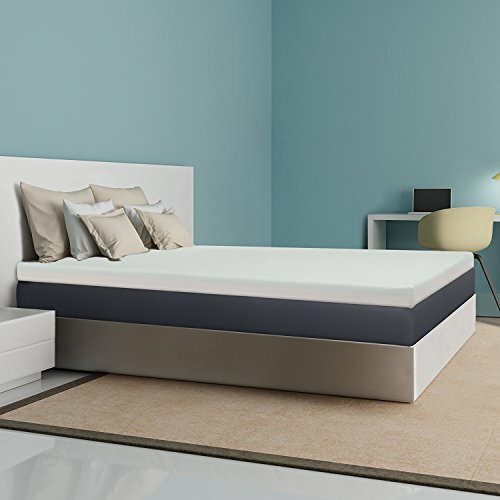 The Isolus 2.5 Inch Ventilated Gel Memory Foam Mattress Topper is not only a great topper for your back pain, but it’s a highly efficient choice when in need for a breathable, ventilated mattress topper. Obviously enough, the ventilation of the topper is what it impresses the most (on the first look), but it sure doesn’t disappoint when it comes to eliminating back pains either. The triple cooling combination used on the mattress topper is sophisticated and efficient. Its Isolus Formula, the open-cell build and the gel infused material are all working to create such a ventilated topper. The topper conforms in a blink of your eye to your body shape and manages to eliminate the pressure points in the back, hips or shoulders. It aligns your spine and improves your pains. The mattress topper is rather dense, but this doesn’t make it any less comfortable. By all means, its special formula makes it soft and comfortable than you’d expect. It distributes evenly your body heat and traps it inside, so you wake up fresh and dry every morning. 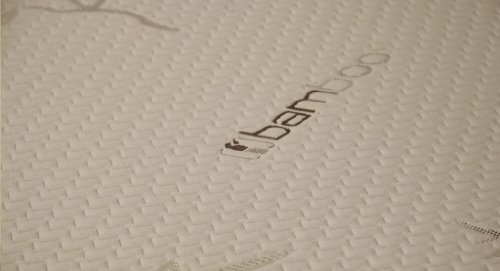 The bamboo cover completes the mattress topper and sustains its ventilation. The cover is soft, breathable and so easy to remove for cleaning. It’s also hypoallergenic and mildew proof and this counts a lot for many. The topper is CertiPur Certified so it’s very safe to use as it presents low indoor emissions. You only need to give the topper an hour to fully expand. Nevertheless, for the comfort and breathability it brings, the topper is a good topper to try. The more you are willing to pay for your mattress topper, the bigger the chances for your back pains to be gone for good. It’s not that the lower priced options aren’t just as efficient, but the durability has a lot to say just as well. It’s the case of the Innomax Comfortable Cushion Sleeping Mattress Luxury Support that provides a great support due to its design. The topper features mid and substrate layers made with dens, resilient, bio-based cushioning support. The mattress topper is made with the finest of Talalay latex that gives good spinal alignment. The cover leaves a luxurious feel and it’s made with eco-friendly bamboo fabric. It’s hypoallergenic, which is always so considerate towards the allergic customer. The Talalay latex takes your body’s shape within seconds, becoming a nice support for your back, easing the pressure points altogether. The topper is responsive and improves your circulation, helping you sleep all night long without waking up. The mattress topper features also a 5lb. memory-cell formula that responds immediately to your body’s shape and temperature. The waffle cut design is efficient and increases the Flo-Thru Temperature Control. You don’t wake up sweaty in the morning, but dry and fresh. 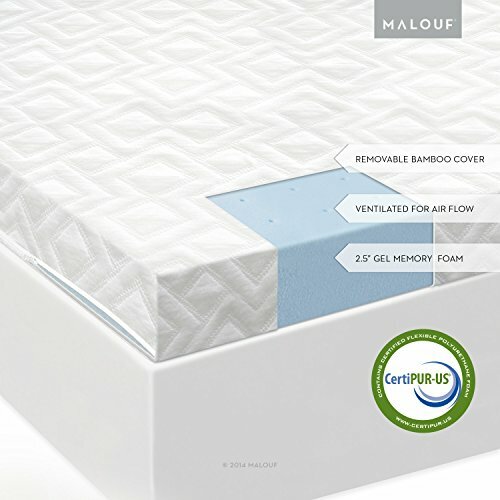 In a nutshell, the mattress topper is a dual-sided topper with one side of Premium Talalay Latex and Natural bamboo cover material and the other side with premium Memory-Cell Visco Foam with Natural organic cover. The cover is removable for cleaning, for sure. All things considered, we’re definitely considering the topper when shopping as it’s versatile, dependable and made with high quality materials. Are you willing to pay the extra buck for your mattress topper? How much do you care for back pain? If you want to bring some, comfort to your back and improve your firm mattress its performance, don’t keep sitting on the fence and get a mattress topper like the TempurPedic Mattress Topper. The mattress topper is 3” thick and lowers the pressure points, easing your back pains. You get to sleep restful the whole night, without turning or fussing. The mattress topper is made with 3” original Tempur material. The topper comes with a removable cover that not only protects it, but also is very easy to clean and dry. The cover is also dust mite and allergen-resistant so it keeps at distance your allergies. The topper is responsive and bouncy and manages to conform to your body shape and weight, bouncing back to its original shape over and over again. The topper is supportive, high quality and makes a great option when you travel. It doesn’t need much time to fully expand and is long lasting. The fact it comes with a 25-year warranty should tell you something about its durability. One last thing: it’s made in our USA, using imported materials, which is a plus for many. Our takeaways are that the mattress topper is a great investment of your money, despite its minor flaws.